Karen joined a host of stars including Simon Cowell, the Duchess of York and Petra Nemcova at a glamorous charity ball in London last night which raised over £2,500,000 for national charity, Caudwell Children. Clair Caudwell, who founded the charity alongside her husband, entrepreneur and philanthropist, John, is a close friend and client of Karen’s. The charity, which provides practical and emotional support for disabled children and their families, hosted the ball at Grosvenor House, Park Lane and over 800 guests enjoyed a glamorous evening of entertainment and fundraising, which culminated in an exclusive performance by the princess of pop, Kylie Minogue. Lots on offer in the exclusive auction included a week on Sir Richard Branson’s private island and a chance to meet the presenters of Top Gear at a special event in South Africa. Proceeds from the event will be used to transform the lives of disabled children living in the UK through a range of services. Since 2000 the charity has provided over £30million worth of support and helped thousands of families from right across the country. During the event guests were entertained with performances from the opera singer, Alfie Boe and a rare acoustic performance of Pretenders hits by Chrissie Hynde and guitarist James Walbourne. 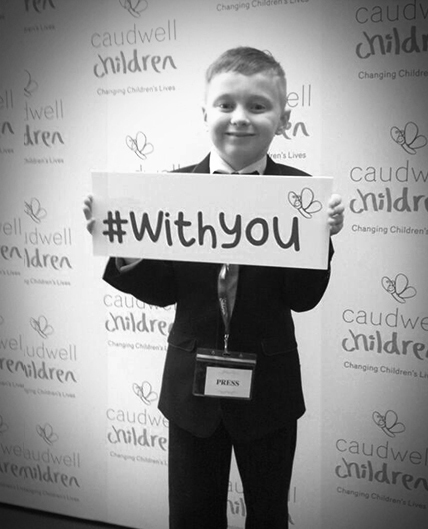 The evening was hosted by singer and Caudwell Children ambassador, Peter Andre.